The patients we see at Blooming Smiles range from young children having their first checkup with their local Northridge and Woodland Hills orthodontist to adults seeking treatment for a range of orthodontic concerns. If you have struggled with jaw pain, uneven wear on enamel, difficulty chewing, and other symptoms of malocclusions (misaligned bite) then orthodontic treatment is an ideal solution. Some adults do not experience pronounced symptoms but are dissatisfied with the appearance of their smile. 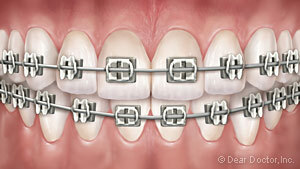 There are treatments available for every orthodontic concern. We want you to feel happy, confident, and healthy for life. Effectiveness treating specific conditions: Some malocclusions are best treated with one type of brace over another. For instance, standard wire braces can be used to treat virtually any malocclusion while the Invisalign system works best with a particular spectrum of concerns. Appearance: Today’s wire braces are thinner and more comfortable than ever, so they have a much lower visual profile than you might expect. 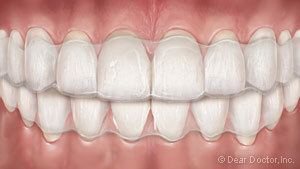 Invisalign braces are clear acrylic and so are virtually invisible when worn. 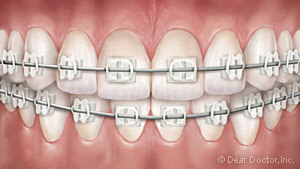 Durability: All braces are engineered for dependable performance, but some materials are regarded as more durable than others. This is a consideration for anyone who plays sports, trains, or is otherwise very active. Contact Us Today For Premier Oral Health Care! We look forward to helping adult patients enjoy improved dental health and enhanced self-confidence. 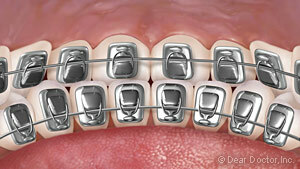 Orthodontic treatment can begin at any time and starts with a simple evaluation. Contact us today to schedule your first appointment. You can call 818-932-9100 for our Woodland Hills location, or 818-727-1800 for our Northridge location. Call today!